Hatfield Handgun Surfaces, but is it Legit? On April 12, 2019, Leslie Rivers paid a visit to the Big Sandy Heritage Center with a very special item from Hatfield-McCoy feud lore, a Deringer handgun that may or may not have been, at one point, owned by “Devil” Anse Hatfield, and his son “Cap” Hatfield. William Keith Hatfield, great-grandson of Devil Anse was also invited to this special event to attempt to authenticate the weapon. Big Sandy Heritage Center curator Everett Johnson and local historian/museum board member Reed Potter was also present, as well as a host of media, to determine if the gun is in fact Hatfield related. In the video above, provided by PikeTV, William and Leslie give us some history behind the gun and the process of authenticating historical items. Did Devil Anse pass this gun onto Cap, who then gifted it to a close family friend, Dr. Dana Moore? Check out the video above and decide for yourself. Thousands of people from all around the world have visited Pike County, Kentucky to immerse themselves into some of America’s richest historical locales. 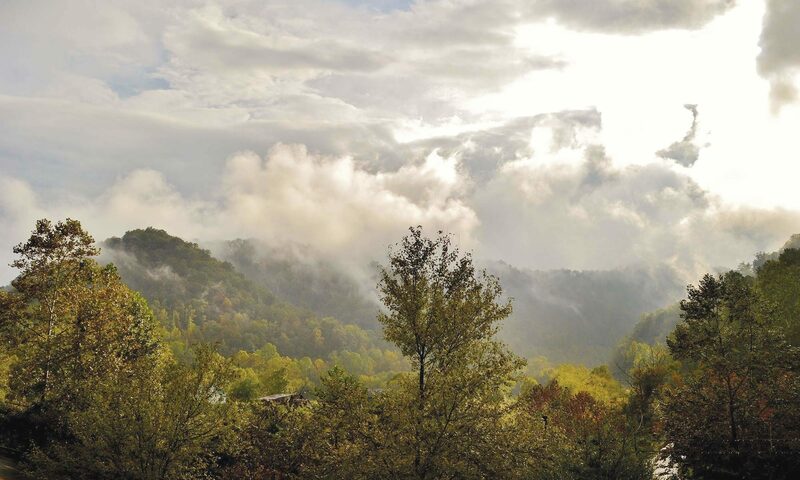 Pike County is home to most of the significant Hatfield and McCoy feud sites, and as a result of the recent spike in the feud’s popularity, Pikeville/Pike County offers a self-guided tour of these interesting historic locales. The Hatfield and McCoy Driving Tour is a self-guided tour that includes all historic sites, both in Kentucky and West Virginia, of the feud. Visitors are provided a Hatfield and McCoy Driving Tour brochure for free, which features step-by-step instructions for finding each feud site that is open to the public. An optional Hatfield and McCoy Driving Tour CD is available for purchase below. Both items can be found in our visitors’ center store, located in the Hampton Inn on 831 Hambley Blvd, Pikeville. The audio CD serves as a tour guide for the feud sites, and offers professional voice talent and music, which spices up the already wonderful tour. The Big Sandy Heritage Center will be hosting Interactive Lecture Series: Hatfield-McCoy Feud, Saturday, September 23, beginning at 10:00 a.m. This event has been rescheduled from August 23, and will be featured during Hatfield McCoy Heritage Days 2017. Presenter Reed Potter will be bringing the history to life with a discussion and Q&A. Refreshments will be served to participants. This is a museum open house event, no admission will be charged, but donations will be taken. This is a great opportunity to share your family stories with others! Pre-registration is preferred, call (606) 766-1025.